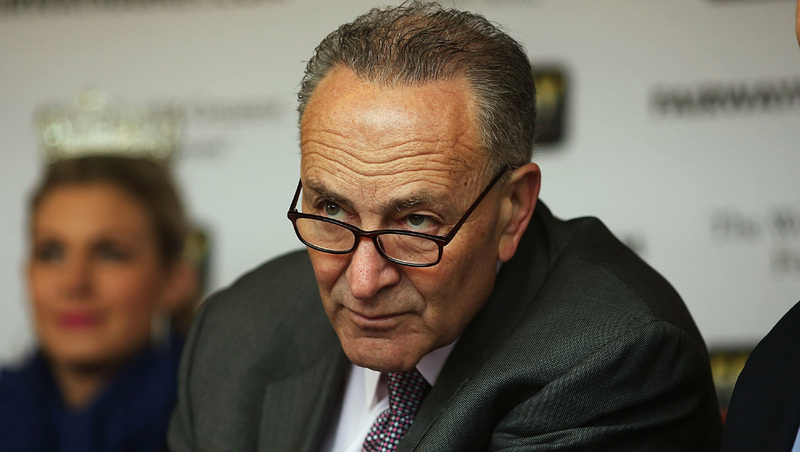 Sen. Schumer seeks crackdown on "academic doping"
NEW YORKNew York's senior senator wants colleges to come back from summer break with a plan on how to deal with abuse of prescription ADHD pills. Sen. Charles Schumer, speaking from his Midtown office on Sunday, said up to 35 percent of all college kids report using stimulants like Adderall and Ritalin as a study tool, reports CBS affiliate WCBS in New York. "That's sort of academic doping," said Schumer. "There are better ways to pull an all-nighter and stay up. There's coffee, there's things like NoDoz." Schumer said it must be on the colleges to crack down on this rampant drug abuse. He has urged colleges to implement new standard for diagnosing and monitoring students seeking Adderall or other stimulants. "For somebody to call up and say 'well, my doctor prescribed it at home, send me pills, here's the prescription number...' that's not good enough," said Schumer. "If a student gets 100 or 200 Adderall pills, even if they are legitimately entitled, they may lend a bunch to their friends." He said campus health centers should do a full workup and gather a history. If they are unable to, Schumer said school health centers should not be diagnosing or prescribing the ADHD drugs at all. "We want SUNY and our private colleges to start being careful when it comes to these drugs," said the senator. Schumer pointed to a number of studies that estimate between 15 percent and 35 percent of college students nationwide take these drugs illicitly as a study tool. He said the amphetamine-based drugs have a number of side effects, including depression, anxiety and even psychosis. For students diagnosed at a campus health clinic: Require formal contracts and follow-up diagnostics for that student; and require detailed medical, educational, and psychological history. Schumer also recommended offering short-term counseling, time management and procrastination workshops, and medication consultation to students with a prescription; instituting a program during freshman orientation informing students of the potential side-effects of stimulant abuse and its addictive nature and offering a list of community mental health professionals that can aid students in seeking the medication.